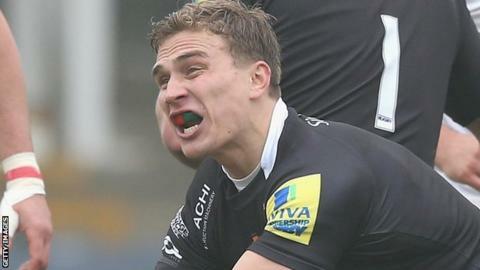 Wales international scrum-half Warren Fury will remain with Newcastle Falcons after signing a two-year contract. Fury, 28, after promotion to the Premiership, and has played 16 matches this term. Falcons have Fury, Mike Blair and Bristol's Ruki Tipuna fighting for the number nine shirt for 2014-15. "There is a great culture being created here at the club at present, I'm really pleased to be a part of it," said Fury. Director of rugby Dean Richards added: "Warren is a tenacious and determined individual who gives his all every time he walks out on to the park. "He is also a great character, both on and off the pitch, and I'm really pleased he has re-signed with the club."